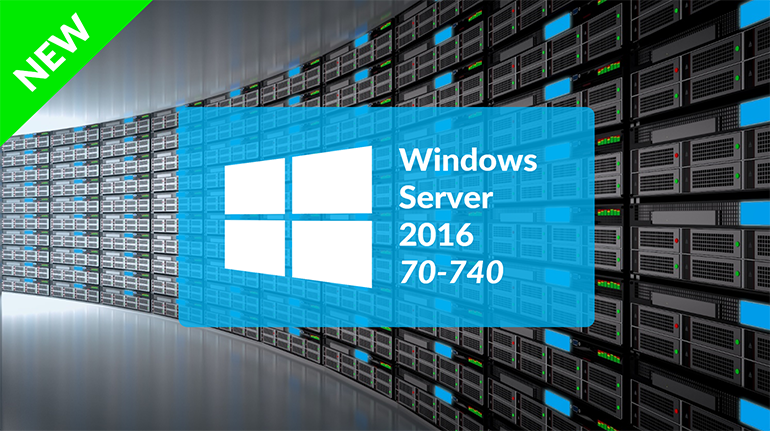 Microsoft 70-740 helps in to demonstrate your real-world mastery of Windows Server 2016 installation, storage, and compute features and capabilities. Designed for experienced IT professionals ready to advance their status, this focuses on the critical-thinking and quick decision-making needed for success at the MCSA level. This course is designed primarily for IT professionals who have some experience with Windows Server. It is designed for professionals who will be responsible for managing storage and compute by using Windows Server 2016, and who need to understand the scenarios, requirements, and storage and compute options that are available and applicable to Windows Server 2016. By the end of this course, you will have the knowledge of PowerShell, Desired State Configuration, and even some of the WinPE and DISM commands that you'll need for the rapid deployment of Windows Server 2016. Various storage options, including partition table formats, basic and dynamic disks, file systems, virtual hard disks, and drive hardware, and explain how to manage disks and volumes. Enterprise storage solutions, and select the appropriate solution for a given situation. The course is videos mainly. Little slow to navigate and the webiste icollege.co is responding slow. Reason could be if it is really hosted in Columbia.